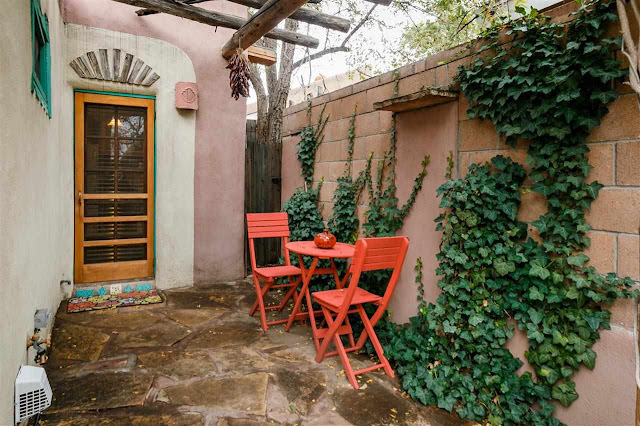 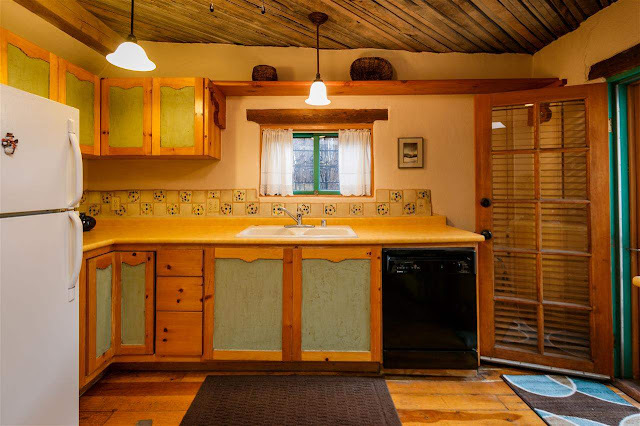 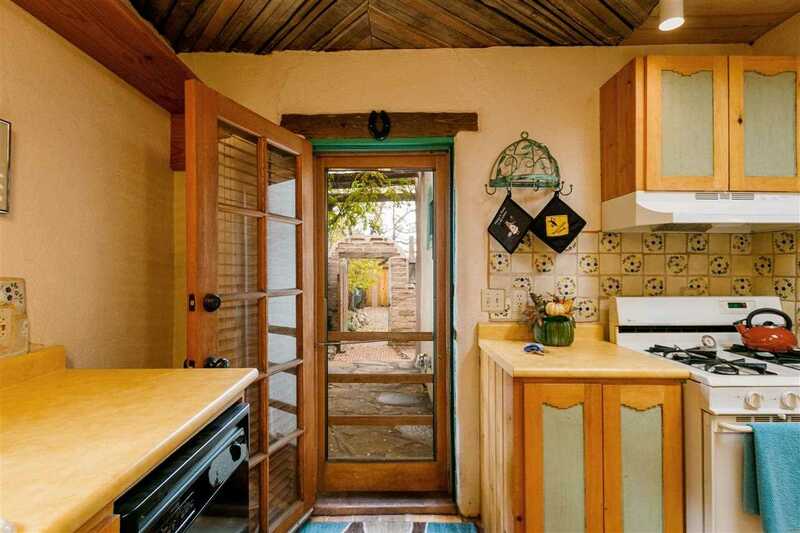 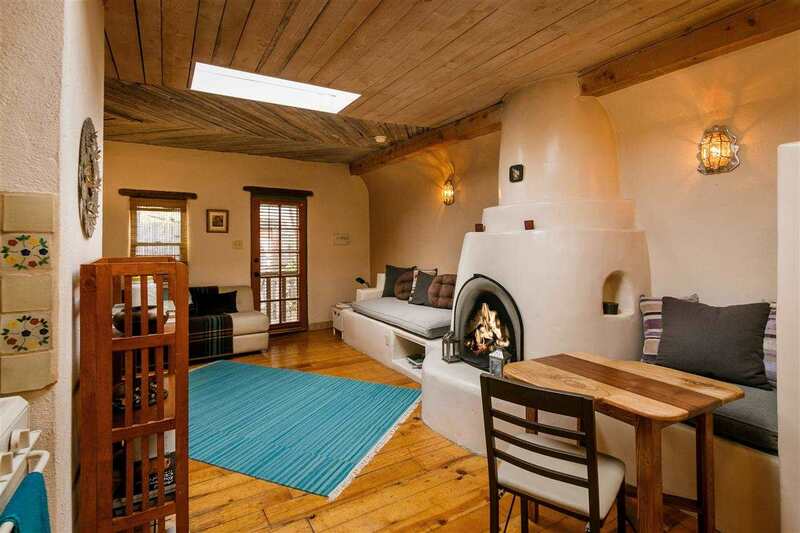 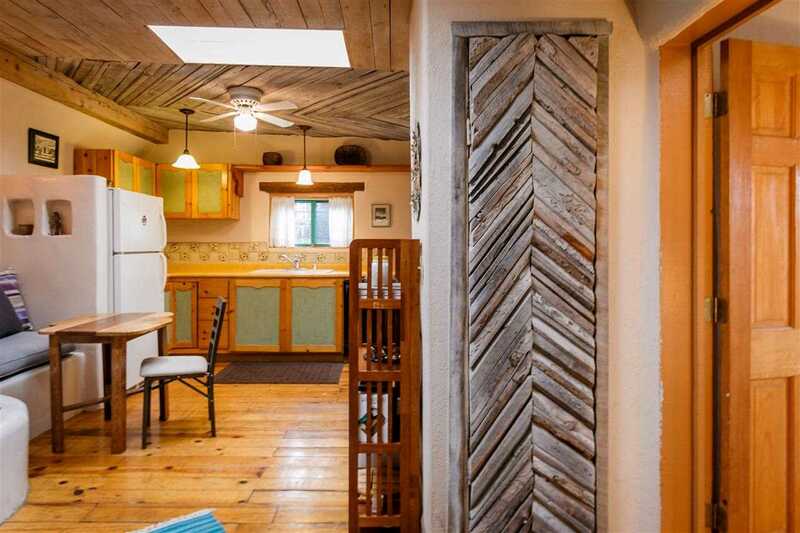 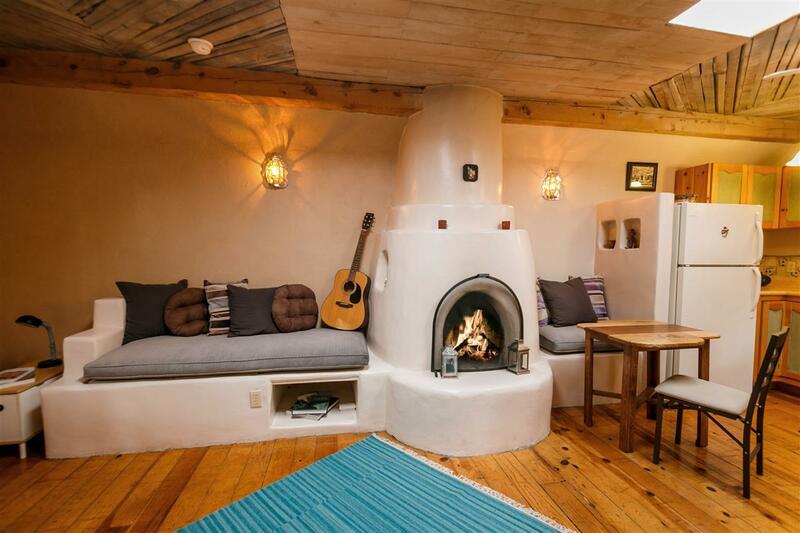 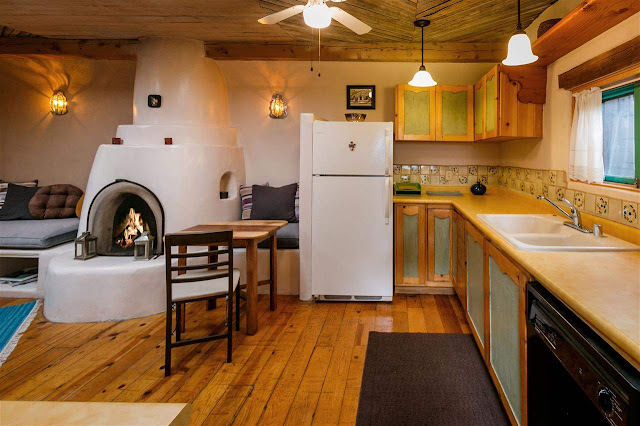 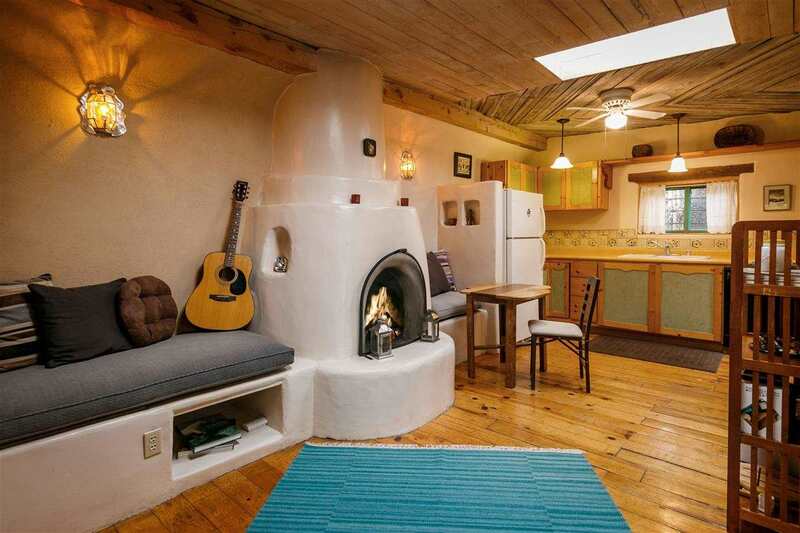 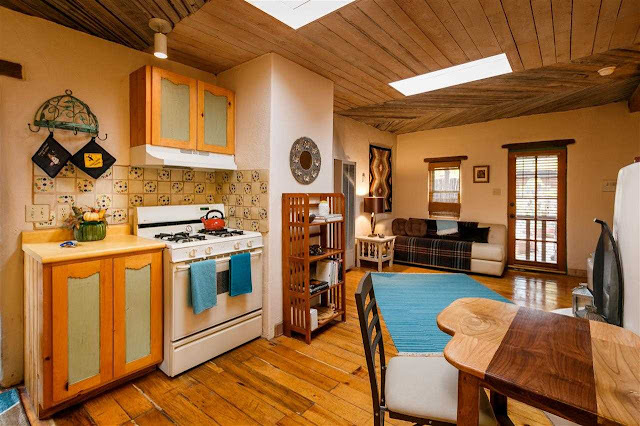 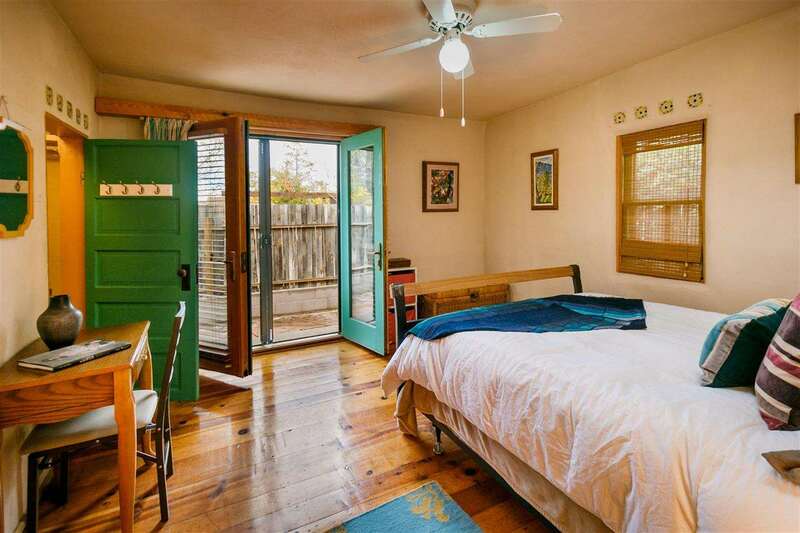 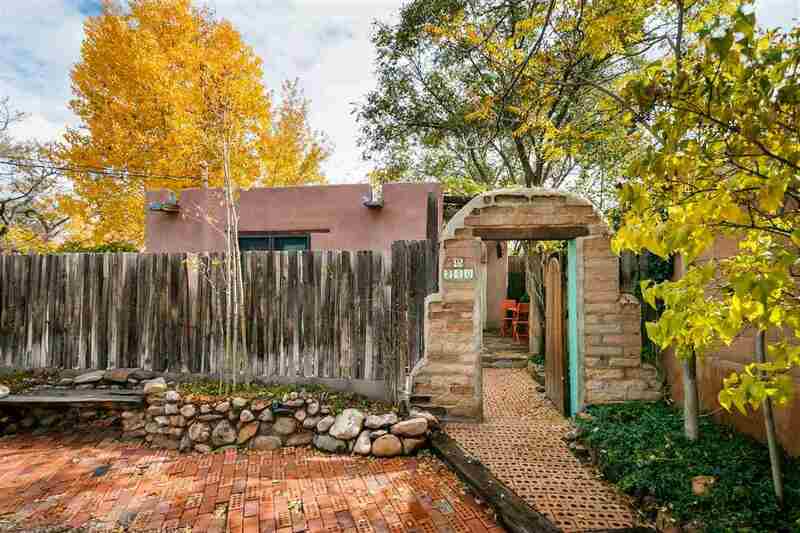 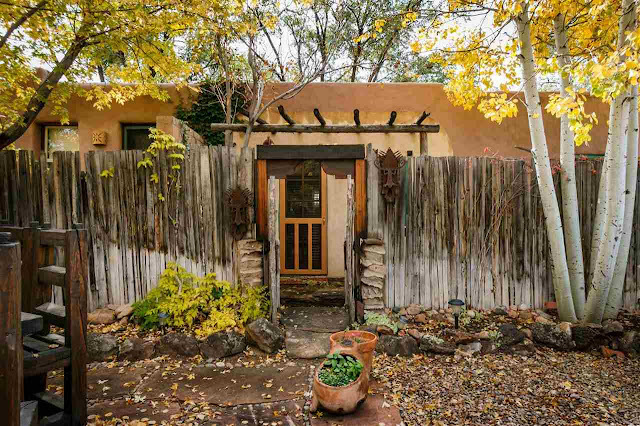 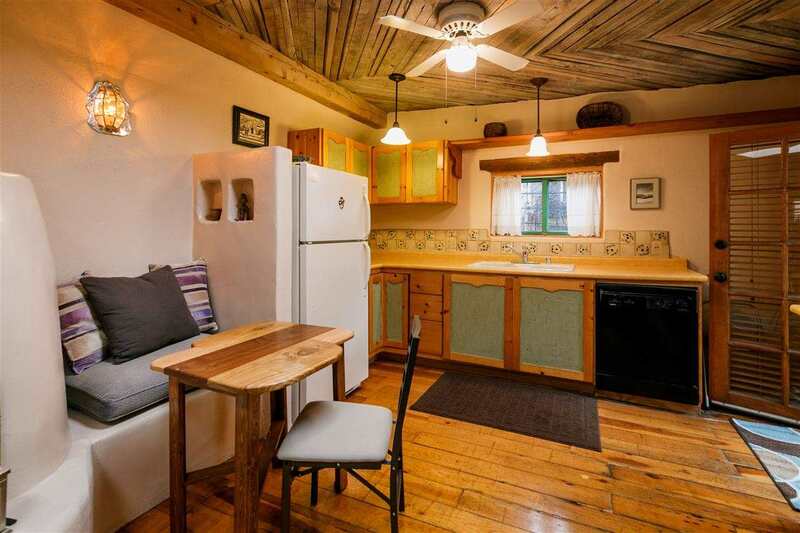 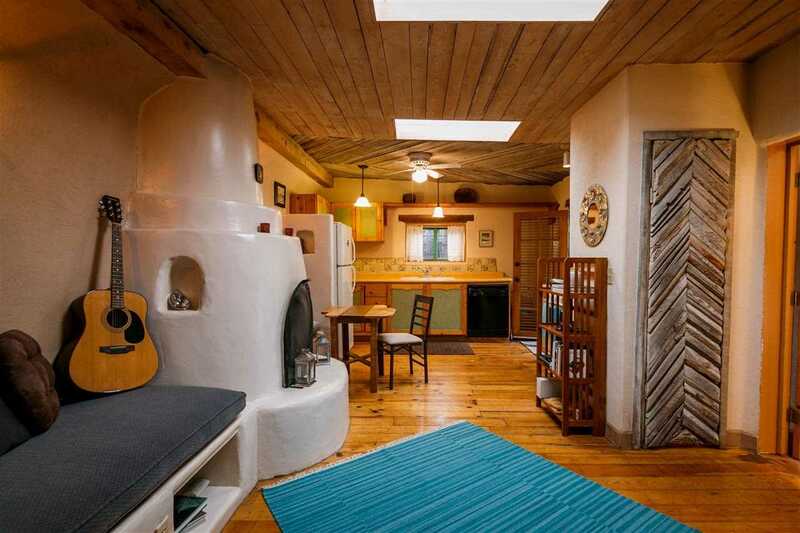 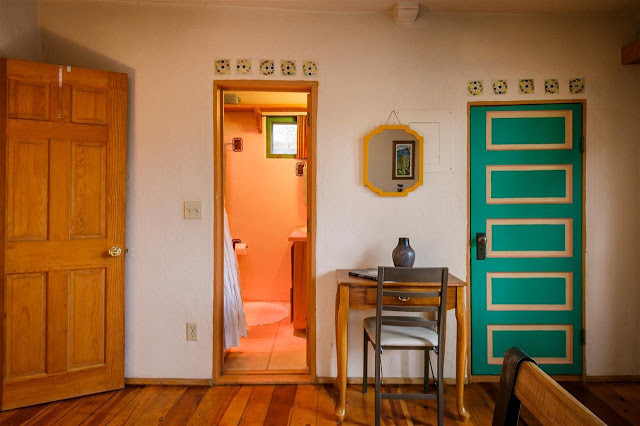 This stunning 535 sq ft home is located a historic gated compound in Santa Fe, New Mexico. 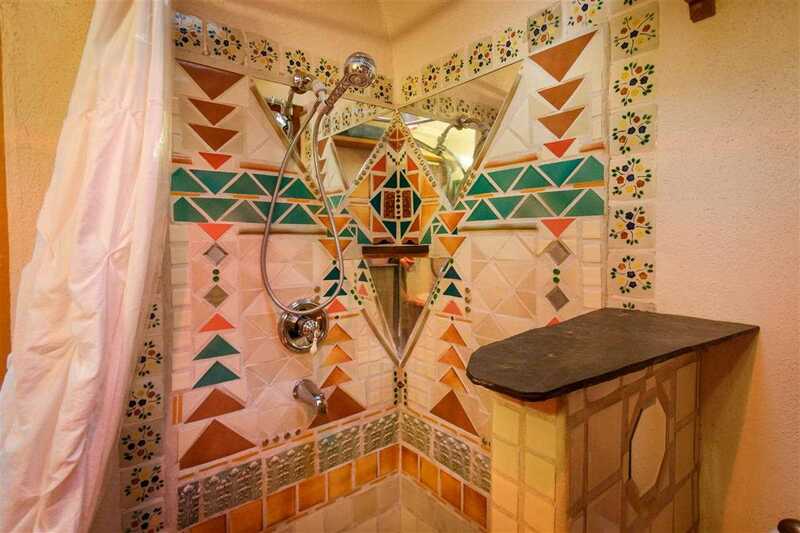 The home features its own patio, a pied a terre with pine flooring, a kiva fireplace, and a Mexican tile mosaic bath. 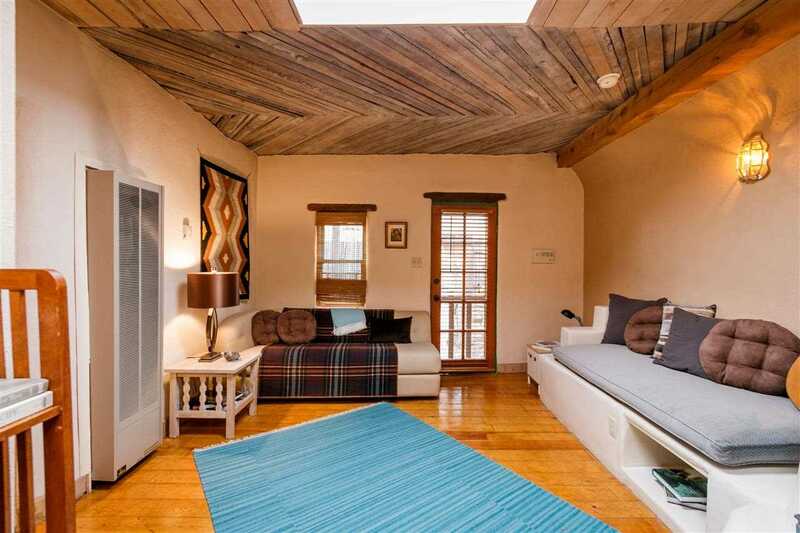 The home is one of ten located in a condo community. 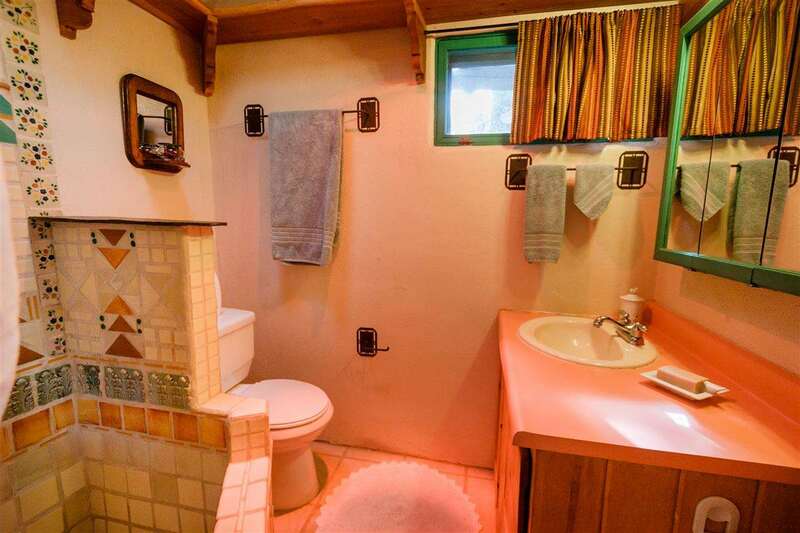 The one bedroom, one bathroom home was listed for sale last year for $199,500.